Central Hotel Stockholm - Central Meetings in Style! Central Hotel Stockholm is the city hotel in the middle of the capital with the same radiance and welcoming warmth as with a good friends. With design inspired by the city's architecture and heartbeat, the company can meet in a beautiful conference cosmos where all focus is on the pleasures and unrest. The bedrooms at Central Hotel Stockholm are adapted to the city conference in several ways. First of all, all overnight guests can sleep in comfortable beds from Carpe Diem, they can enjoy our rain shower showers, and they look out onto the hotel's courtyards. A trio of amenities for a brilliant stay! The meeting will find home at the Central Hotel. Outside the door to the conference rooms there is the hotel lounge and the bright garden with a terrace for a break from work. The premises are equipped with state-of-the-art technology, interactive big screens that take your presentation step further. whiteboard, flip charts and wifi are also available in the premises. La Gare is the Central Hotel Stockholm restaurant where people can sit down for conference meals. Just as the name suggests, this is a French brasserie with Paris as the biggest source of inspiration! Lunch is offered in our delightful conference lounge according to the concept of eating with a fork. 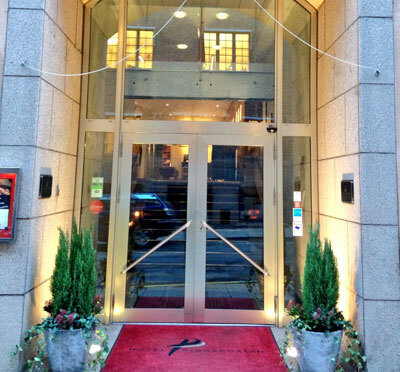 Central Hotel Stockholm is suitable for both quick and longer conferences. For the company with time, you can arrange exciting activities inside the hotel or out in the city. The location allows easy access to all of Stockholm! Talk more with Konturs conference booking team for suggestions. On Vasagatan, Central Hotel Stockholm is one block from the Central Station, with connections to the rest of the city as well as across the country. The hotel is certified according to The Green Key. Have you been to Central Hotel and want to give your own comments?